In the world of four-door sedans, there are normal ones – like that Altima they made from 2008ish until 2012; the one with those turn wraparound turn signals the size of a fire hydrant – and there are beautiful ones. I am thinking now of the 1995-2001 BMW 7-Series. You know: before the days of Chris Bangle. 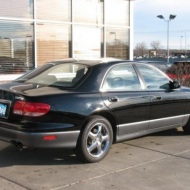 But there’s another beautiful sedan that I think way too many of us forget about: the Mazda Millenia S. I’m not referring to the first-generation model, which a lot of people wrongly believe is beautiful, but rather the second-gen Millenia, which is actually beautiful. It included gorgeous lines, gorgeous wheels, and general gorgeousness. Part of this gorgeousness was likely derived from its two-tone paint job. I’m a sucker for two-tone paint jobs. Of course, the Millenia is an example of Mazda’s typical product strategy, which is: Get everything right, but don’t tell anyone. The “get everything right” bit here refers not only to the styling, but the interior and – most importantly – the engine: a supercharged V6 that made a muscular 210 horsepower (muscular for the time, mind you) despite inexplicably being just 2.3 liters in overall size. 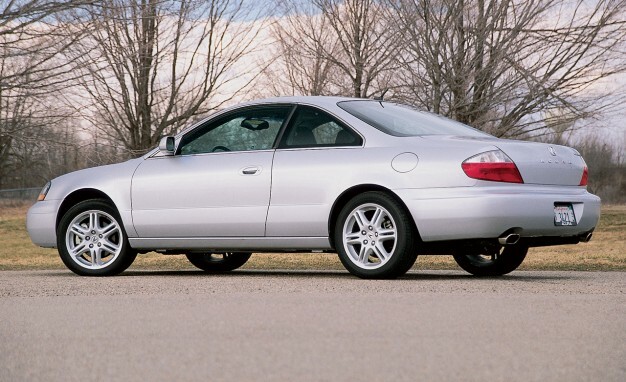 Sadly, the Millenia was a little big, or maybe a little expensive, or some other excuse Mazda North America gave Mazda Japan for why yet another model failed to take off. 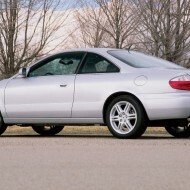 Whatever the reason, it’s a shame, as the Millenia was the most handsome car on the road in the late ‘90s and early 2000s. Except, of course, for that 1995-2001 7-Series. If you’re like me, you think of a Porsche as a manufacturer of a) luxury cars, and b) that’s actually it. But there was a time when they built sports cars, and one of the most amazing of those was the 928 GTS. 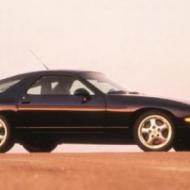 For a little background, let’s discuss the 928. This was a front-engine, V8-powered sports car that was initially intended to replace the 911 before everyone realized it was rather ungainly. So rather than replace the 911, Porsche decided to keep the 911 going, largely unchanged, and keep the 928 going, largely unchanged, for as long as possible. The result was that by the late 1980s, both the 928 and the 911 sported designs that were more than a decade old. Porsche’s other car, the 944, was just as long in the tooth. So Porsche did the only thing it knows how: it started building special editions. While the 911 and 944 got their own neat run-out models, the very best of these was the 928 GTS. It came to the states for the 1993 model year and used a 345-horsepower 5.4-liter V8, which must be one of the largest engines ever to grace a Porsche outside the Carrera GT. To me, the best part is actually that the bodywork somehow managed to make the 928 look like a modern, 1990s vehicle. 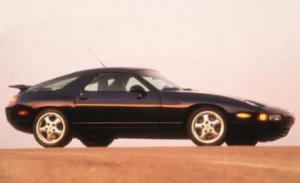 The 928 GTS only lasted a few model years before it faded into oblivion. And Porsche didn’t sell too many, largely because the thing had a six-figure sticker price at a time when you could get an M5 for a price that started with a “4.” But on the used market, it’s still one of the coolest Porsches in existence. If we’re talking souped-up, 1990s German cars, the E36 M3 gets all the glory. 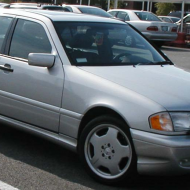 Or, more accurately, it shares the glory with the E34 M5, and the E39 M5, and various other BMWs that were all wonderful, but aren’t necessarily unique. Enter the C36 and C43 AMG. These were the first AMG cars (as we know them now) that ever came to the US: they carried a two-digit number rather than the three digits of other Mercedes models, and they used subtle modifications to display that they were, in fact, faster than normal. The C36 came first. It used a 276-horsepower 3.6-liter straight six, which meant it could do 0-60 in less than 6 seconds. And while it was automatic only, it offered 36 more horsepower than the E36 M3. Not content to stop there, Mercedes released the C43 AMG in 1998. This time powered by a 302-horsepower V8, the C43 could really haul – even in comparison to its predecessor. Once again, the C43 was automatic-only, though apparently the later models offered Mercedes’s (bad) manu-matic shift mode. I’ve always loved the original C-Class AMG models because of how damn nice they looked. Those silvery wheels, the subtle body modifications, and the fact that you could get the seat centers in white. It was the high-powered fist-thumper to the E36 M3’s svelte athleticism. 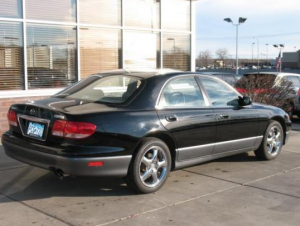 Sadly, reliability issues plagued a lot of these cars (surprised?) and it’s hard to find a really nice C36 or C43 around anymore. Those who do won’t be rewarded with the latest technology, or the most avant-garde styling. 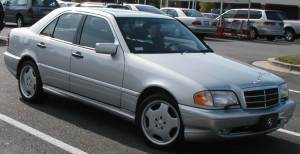 But they will be comforted to know that it’s unlikely they’ll ever run into a fellow W202 C-Class AMG. You know who really annoys me? Those people who go to Europe and rent some diesel car that gets 226 miles per gallon, then return to the states and complain about WHY DON’T CAR COMPANIES SELL THOSE HERE???? or maybe the even better THE CAR COMPANIES ARE IN BED WITH THE OIL COMPANIES TO KEEP FUEL ECONOMY DOWN!!!! The truth is that the only reason those European cars manage to get 226 miles per gallon, or 470 miles per gallon, or whatever those people claim to their friends, is that they have about 47 horsepower and do 0-to-60 in the same amount of time as a tug boat. Seriously: Just a few years ago, I rented a Ford Fiesta in Europe with an 81-horsepower four-cylinder engine. This thing had the passing power of a musk ox. And I returned home to discover it wasn’t even the least powerful model they sold. There is actually a fifty-nine horsepower version of the same car, which would probably lose a drag race to a Vespa hauling a file cabinet. 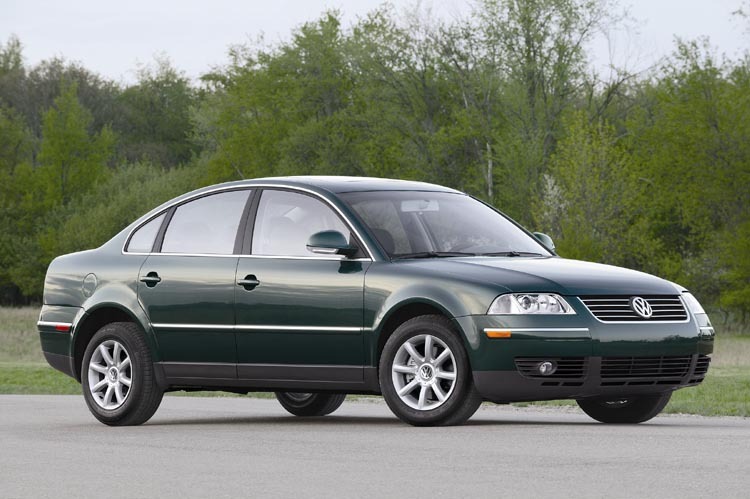 I bring all this up because the 2004-05 Passat TDI is one of those rare cars they tried to bring from Europe for boosted fuel economy. Most people don’t realize there was a diesel version of this car, but it existed after Volkswagen customers insisted they wanted better gas mileage. So Volkswagen brought us the Passat TDI, all 134 horsepower of it, which was 35 horses less than most four-cylinder midsize sedans and 100 horses below most V6s. The result? A respectable 27 mpg city and 38 mpg highway… and a 0-to-60 time of 10.5 seconds. 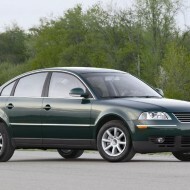 Naturally, no one bought this car, and the diesel didn’t live to see the Passat’s 2006 redesign. 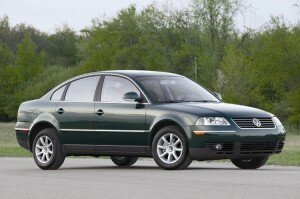 But the ’04-’05 Passat TDI certainly exists, and you can still buy a used example. Just don’t complain about the acceleration.